Was it easy to get to the track from downtown Sao Paulo? Pretty much. Interlagos is a suburb in the (enormous) city of Sao Paulo, about twenty miles south of Centro. The metro system here is awesome, and you never wait long for your train. Take the metro from your hotel to Pinheiros, then grab a train to Autodromo, which is closer to the track than the station named Interlagos. The second leg of this journey takes about half an hour, and the track is a short walk from the station. Stick with the crowds as you make your way up to the circuit; Interlagos is quite deprived and Brazil is – as anyone knows – not always the safest of places. Keep your bags in sight, use your common sense and you’ll be fine. One ticket takes you on any single journey in Sao Paulo no matter what the distance or how many changes you make, and will cost you about a quid. 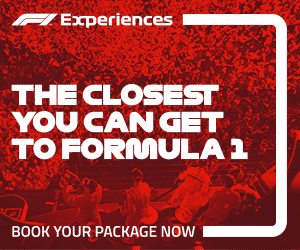 Alternatively, agree a fixed fee with a taxi driver and travel straight to your entrance gate at Autodromo Jose Carlos Pace for around £20 each way. Which tickets did you get for the race? We got tickets in Grandstand A which is widely known as a ‘South American’ stand. Europeans are often encouraged towards covered seating areas which are generally more expensive. Grandstand A still wasn’t the cheapest option at £245 for the weekend, but it’s a huge grandstand with a superb view of the track. We reckon we could see 75% of the action from here, including the grid, thanks to the undulating nature of Interlagos. Grandstand A hugs the last bend before the finishing line, and overlooks the pit entrance. Seating was deep concrete steps, unreserved all weekend, but we had no problem getting a good spot. You can’t actually get a bad one here – though the best are probably the ones right opposite the TV screens, which are in short supply. Oddly, there’s no movement allowed between different grandstand areas at Interlagos, so no opportunity to walk the circumference of the track like you can at Silverstone. What’s Sao Paulo like as a place to visit? Sao Paulo is huge and not the prettiest city by any means – the first thing you see as you make your descent into the city is thousands of skyscrapers rising up through smog! Having said that, it’s a modern and oddly quite aesthetic city underneath it all. Lots of interesting architecture and hands down some of the most impressive graffiti art I’ve ever seen – it’s literally everywhere! Ayrton Senna’s grave is in Sao Paulo at the Morumbi Cemetery, so that’s worth a pilgrimage for any F1 fan, and Ibirapuera Park is a great place to visit – it’s a bit like what Central Park is to New York – with several museums and monuments worth checking out. We were only in Sao Paulo for a four or five days, so we spent Friday to Sunday at the track and enjoyed some great evenings out in the city. Vila Madalena is a great place to head for some dinner and drinks, but all the teams tend to stay in the Itaim Bibi district, close to the southern edge of the city and in the middle of the commercial district. Avenida Paulista is one of the glam places to eat out in Sao Paulo, so book for dinner here one night and you might just spot a team at dinner if you’re in the right place at the right time. Any tips for fans planning a trip to Interlagos in 2014? Fly direct to Sao Paulo with TAM airlines. They’re a great airline and they operate mainly overnight flights. With the two hour time difference between Sao Paulo and London you won’t suffer from any jet lag or general fatigue if you get a decent kip on the plane. Well worth the £800 we paid per ticket! Other options are flying with BA or Iberia (changing in Madrid). Airbnb.co.uk is a great website if you fancy staying somewhere cheaper with more space than a hotel room. We were travelling in a three and wanted to stay somewhere with more communal space. Nice hotels aren’t cheap in Sao Paulo at any time of year, and when the F1 circus comes to town the prices skyrocket. However, we paid £45 per person per night to stay in a stunning townhouse in Vila Madalena. The owner was extremely welcoming and helpful, and stayed in an annexe behind the property. He gave us the run of the whole place – kitchen, roof terrace, the lot. We also enjoyed freshly baked pastries and endless cups of strong Brazilian coffee every morning. Other tips are a seat pad for sore behinds if you’re sitting in Grandstand A, and a pair of lightweight binoculars in case you end up sitting away from a big screen. The vantage point is great here and you’ll spot all sorts of action on the other side of the circuit if you have binoculars on you. We managed to get these past security with no problem. Don’t bother packing an anorak as you can buy a lightweight plastic poncho (everyone wears them) from vendors for next to nothing. As this season’s race will testify, the weather in Sao Paulo is unpredictable at best!